Beginning from the Cartwright Reserve on Sandy Bay Road, the Truganini Track climbs steadily uphill 350m to the Mt Nelson Signal Station 2.1km away. 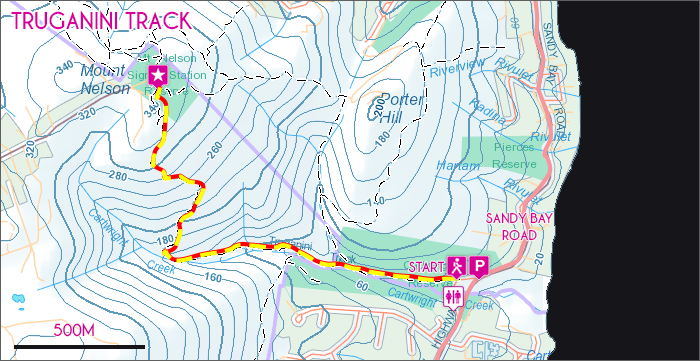 Taking less than 2 hours to complete, this trail is makes for a brilliant short walk right on the Hobart’s edge. 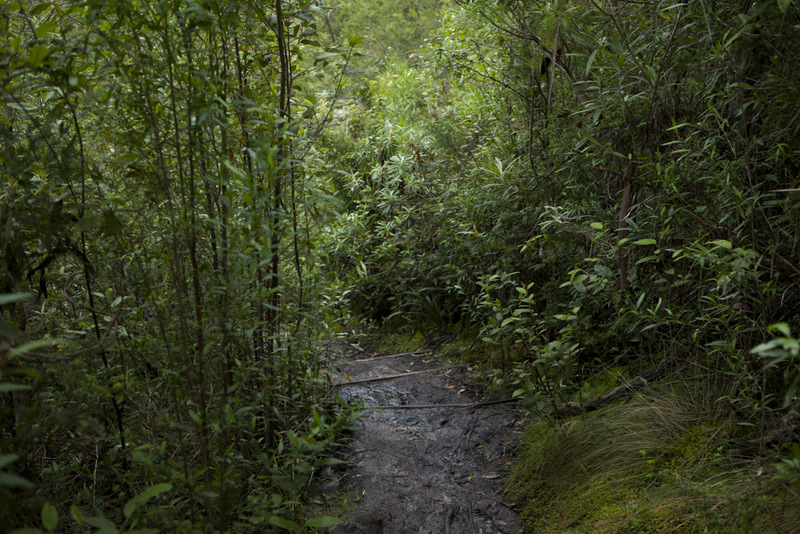 For the first 1km the trail edges Cartwright Creek, ducking in and out of beautiful wet sclerophyll forest. The track here is dense with forest foliage, mirroring the tracks found at higher altitudes on Mount Wellington. This lower section of the track can often be quite muddy after wet weather. Upon reaching the upper threshold Cartwright Creek Gully the trail enters dry sclerophyll forest and between the blue gums and tea trees glimpses of the Derwent Valley begin to be revealed. Just before reaching the summit as the track begins to flatten out the Truganini Memorial can be viewed via a short side track before reaching the Mt Nelson Signal Station. From the historic Mt Nelson Signal Station extensive panoramic views are offered, extending south to Bruny Island and Betsy Island and east towards South Arm and the Tasman Peninsula. 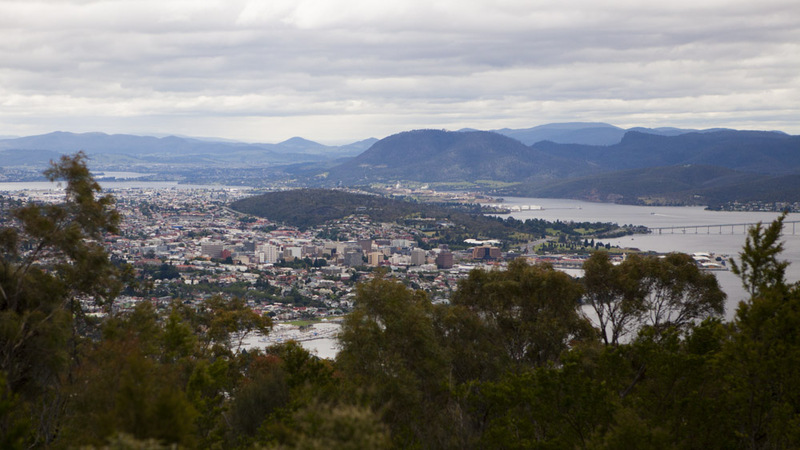 Looking north, Hobart is framed beautifully between the trees. Return to the carpark via the same route. View Google Map Directions From Hobart head south on Davey Street, turning onto Sandy Bay Road quickly After. 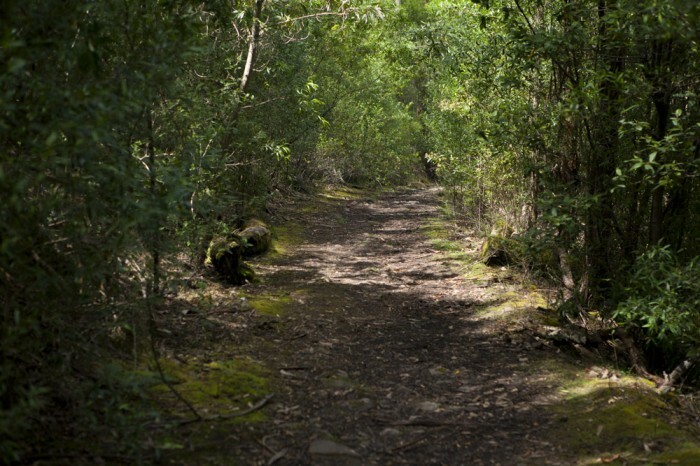 Continue along this road for 7km before reaching the Cartwright Reserve. The Truganini Track begins from North end of the carpark.